This Saturday, my friend and I decided to take a day trip to Boston since neither of us had ever been. For just $35 we got a roundtrip Megabus ticket. Unfortunately, to make sure we had enough time to see the city our bus left at 6:30am. A time I haven’t seen since swimming in college. But, with a little bit of coffee we were ready to take on all of the (free) things Boston had to see. For those of you with a terrible sense of direction and who find it hard to read maps, this is the city for you. Boston has laid a nice brick path for you to follow so you can see all of the sites without getting lost. The brick path is The Freedom Trail. 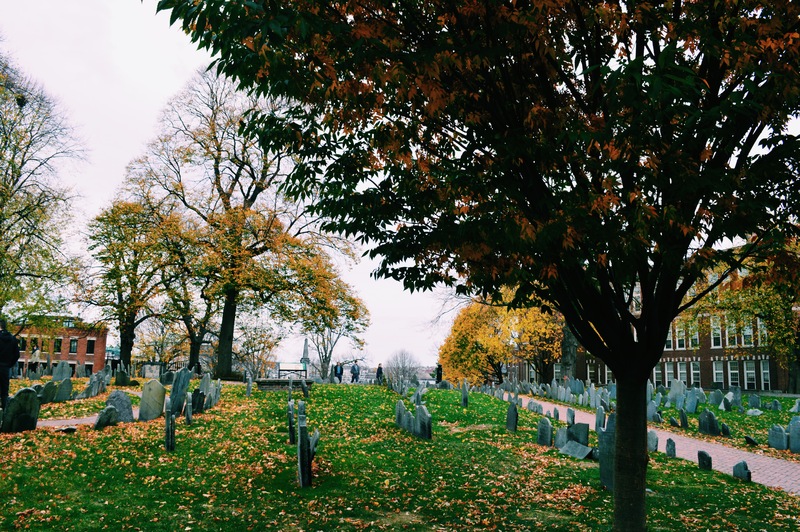 Along it is every historical site you would ever need to see in Boston. 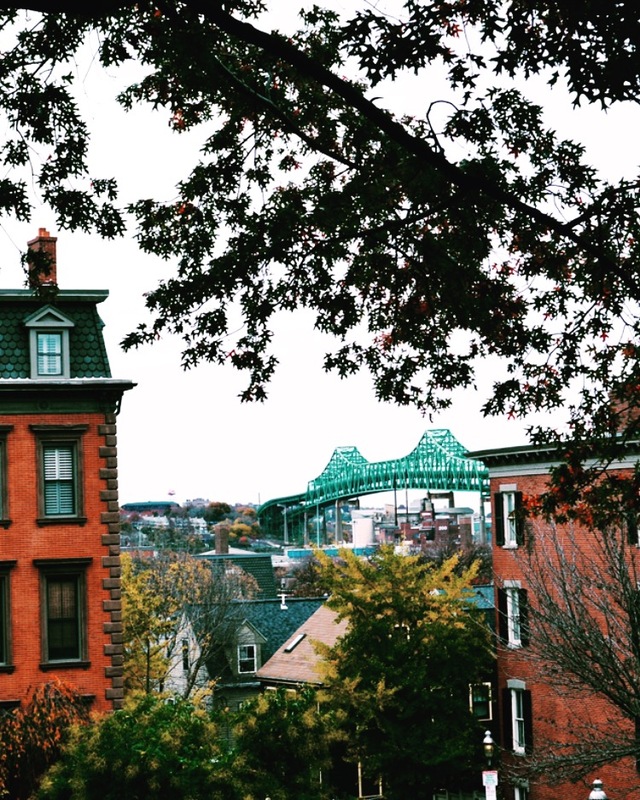 You can put those big maps that scream tourist away and look up and enjoy the historic city. The best part, there is an app for that. 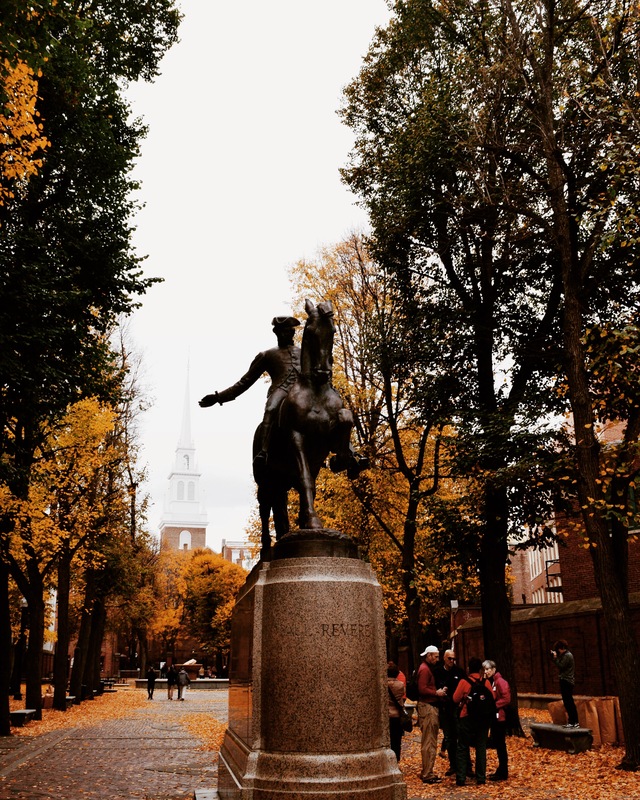 The Freedom Trail has a very convenient app that shows you all of the sites, it will take you on tours and you can even create your own tour. Some of the sites on the trail cost a small amount of money, but for the most part everything was free. 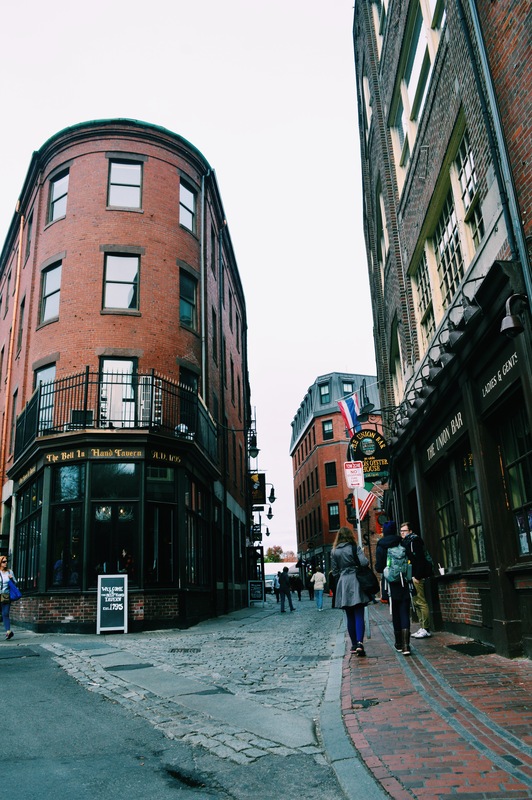 We started with Faneuil Hall, we started following the Freedom Trail. As we winded through the weekend fish market and through some old cobblestone streets, we saw Paul Revere’s House, his statue, the Old North Church, as well as a couple other churches, we saw the 2nd oldest graveyard in Boston (definitely haunted), we traveled through Little Italy on the North End, we climbed the Bunker Hill Monument (not suggested unless you are in the best shape of your life) and we went aboard the USS Constitution, all for free. My favorite sites were the market behind Faneuil Hall, the Bunker Hill Monument and the USS Constitution. 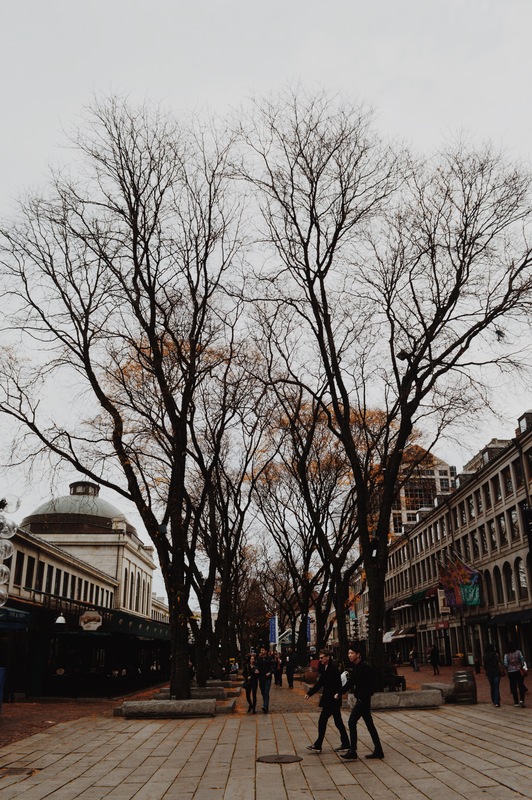 The markets behind Faneuil Hall have great local restaurants and shops and were beautifully decorated for the holidays. We actually ate at the bar that was the inspiration for the show “Cheers” and is now called Cheers. 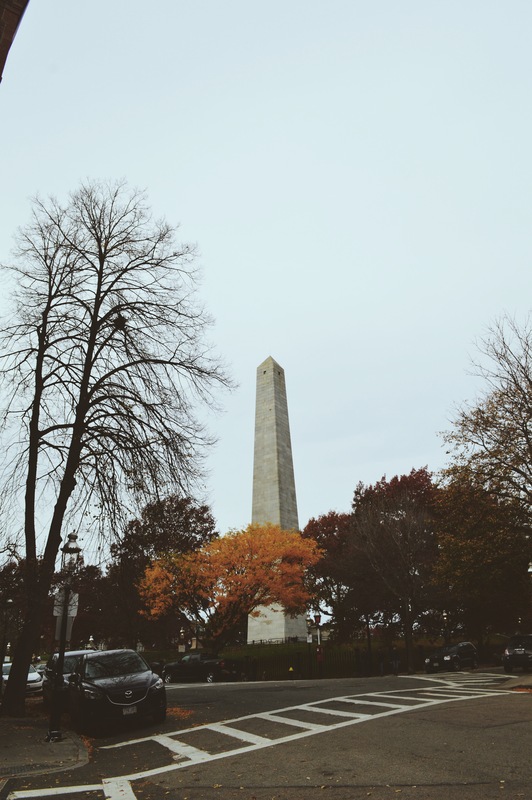 The Bunker Hill Monument was an interesting site. It looks like a shorter version of the Washington Monument and you can climb up the inside (no elevator provided). Of course once you start climbing, you feel like it might as well be Everest. I advise anyway who is not in the best shape of their life to take it easy. I, being mathematically challenge, did not realize just how high 294 stairs is. So I went full speed ahead up the stairs until about step 150 when my body realized I am no longer a Division I athlete and nearly had a heart attack. But, when you get to the top the view is worth the workout. 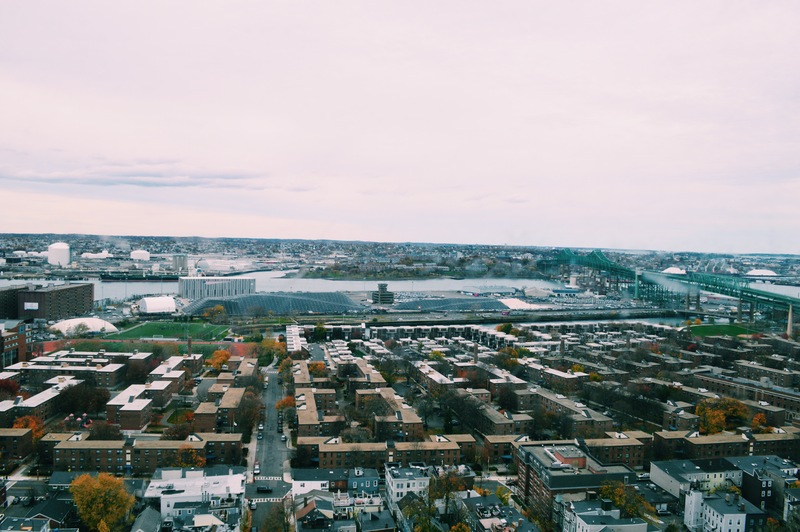 You can see out of (extremely dirty) windows on all four sides and take pictures of all of Boston. Do it for the gram! The USS Constitution is another one of my favorite sites. The “Old Ironside” is the oldest Naval ship afloat and is undefeated in battle. During the tour, you get to hear about the history of the boat and also the crew that still runs the ship today. You get to see the upper deck and the gun deck. On the gun deck you also see their tiny living quarters (still bigger than my apartment). After following the Freedom Trail for hours, we decided we needed to go looking for prospective husbands on the Harvard campus. We took a 30 minute bus ride right to the Harvard campus and gave ourselves a little tour. We walked through a little bit of campus and took some cool pictures rubbing Harvard’s foot to try and get a little smarter. We had a long list of things to do in the 8 hours we were in Boston. Unfortunately, though we got a lot done, we did not complete the list. But, that is just a good excuse for another vacation. 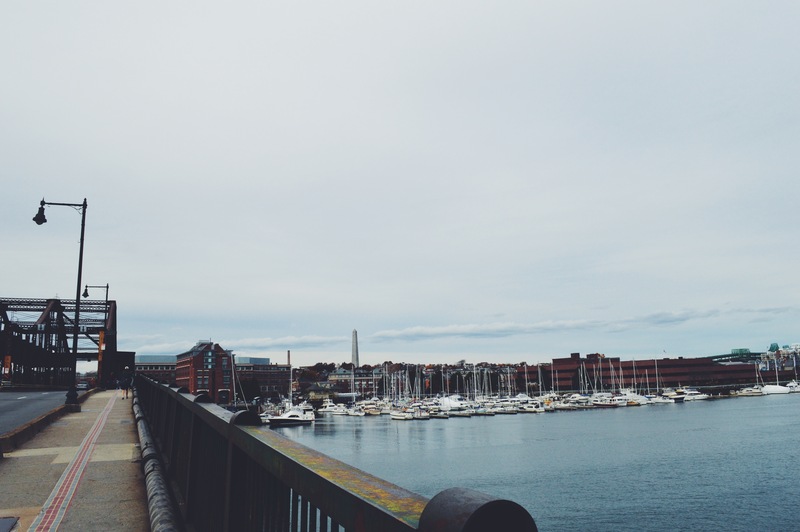 I definitely think Boston is a great city for a nice weekend trip. We definitely needed a bit more time, but I will be back soon. 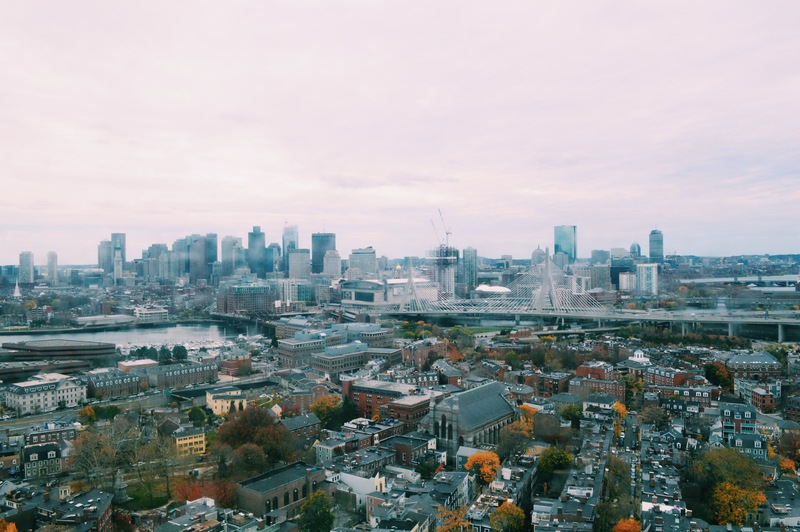 A couple things we didn’t see that hopefully I’ll see next time; Fenway Park, Modern Pastry in North End (or I’ve been told any bakery in North End), Newbury Street and the Tea Party Museum (they actually let you throw tea into the harbor! ).